These objects were created in response to feeling alone when sharing meals with friends and family. I was interested in re-designing objects present at the dinner table to demand that the diners stay present and attentive, instead of turning to phones or screens. Two colorful forms were created which depend on another to stand. When one is moved without support, the other falls or rolls away. The diners must communicate with one another about their needs in order to avoid spills or broken objects. A bland meal and environment were created, which decreased distractions (and demanded seasoning). 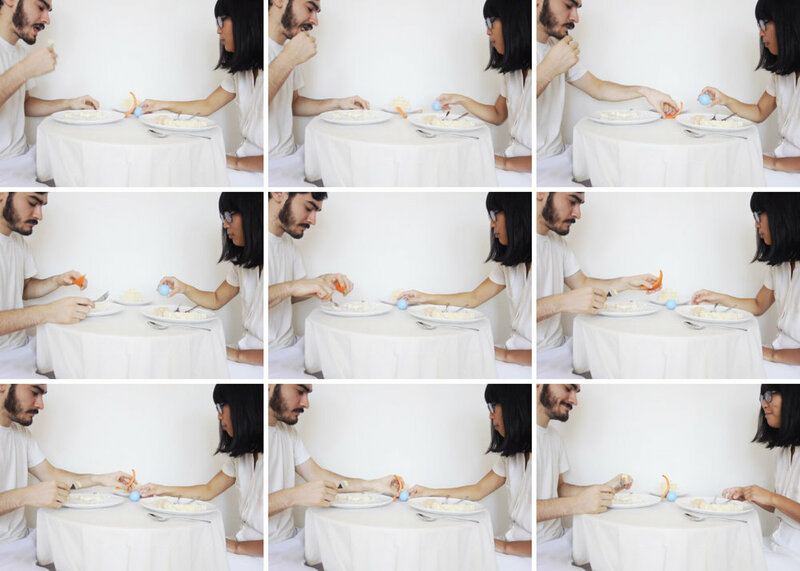 Two friends shared a meal and tested the use of the objects.